our members found this about 2 years ago. the individuals privacy and could protect the life of a Bigfoot. a little history of a county when we have a new sighting. Gives me a feel of the land so to speak. up with foliage. This particular day all the family was cleaning, cutting and doing yard work. large man with a white hood over his head and it severely frightened the young boy. 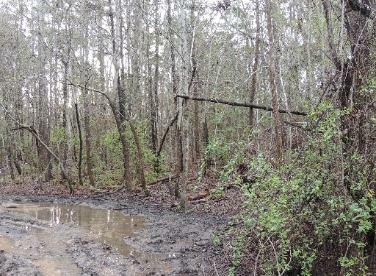 only make out the outline of what looked like a Bigfoot! 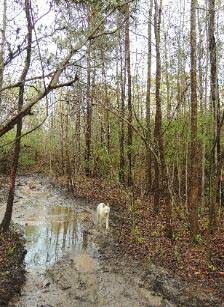 ago I had another report of a gray-white Sasquatch in Tallapoosa County. We think it may have been an old Sasquatch and was turning gray with age. Dedicated To The Research & Preservation Of This Creature And It's Habitat. personally know is a 'hot spot' for sightings. woodland creatures there and Bigfoot as well. people began to move out of no where along the tree line. and still behind him, as if they were watching him. Then he change camera locations. All locations were around the Holy Ground or High Ground as it is sometimes called. Suddenly a white cloud or something walks up to his back! home and began reviewing the video that he and Dorothy saw it. The video is on youtube ...check it out! sounding wood tapping at night in this area. sounding than a normal human could hit a tree. fuel had been tossed around. In those days we'd never heard of a Bigfoot. 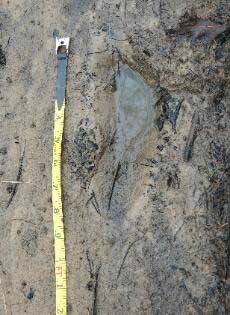 Excellent footprint that witness says was about 11 inches from heel to toe. Track has no arch like a human would have. 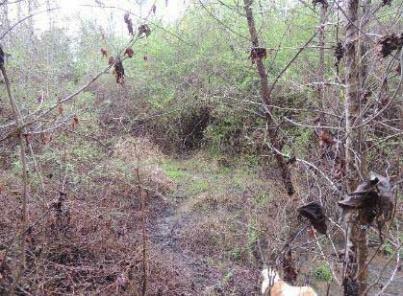 photos are from the same area a family encountered a Sasquatch about 1 year ago. front and trails leading to it. Tuscaloosa County recently. It measured about 14 inches from heel to toe. end of the river to the coast line. footsteps running in the woods close to them. The footsteps were extremely fast they reported. Alabama. I will be working on details of the story as I can. of car from the road way. Marshall County, Reported Jan. 2015.....Deer hunting mom - son team terrified by angry Bigfoot! Is there something going on in, under or around this massive lake? 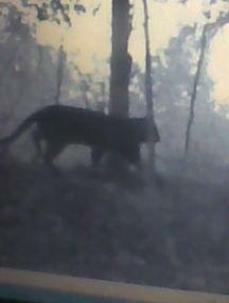 Possible Black Panther Photographed Near NewMarket, Al. Newmarket, Alabama. Photo appears to me to be an early morning shot. (Note** Although it does look like Alabama lately with all the damp fog, shape of cat resembles a tiger some what. located in extreme north east area of state. 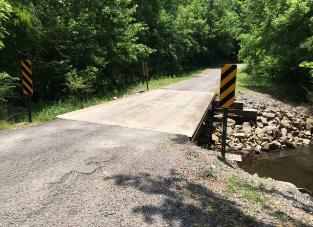 What Haunts This Rural Bridge In North Alabama? One of our members in North Alabama Has sent this photo and a ghost story about this haunted Bridge. The bridge is located in Morgan County. The story or legend that goes with the photo is called 'Cry Baby Holler". when you return.You might want to try it somenight. I would like to investigate here my self. Thanks P. for the ghost story. antlers. However it has no facial markings like local Alabama deer. Some witnesses have reported it has only three fingers. 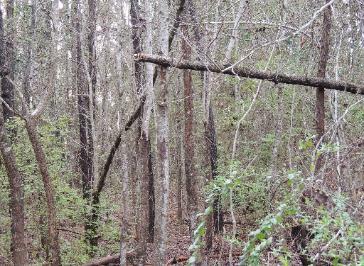 Bigfoot as we have received several reports from Madison County over the last year. first week of August 2015 and had been drizzling rain all afternoon. 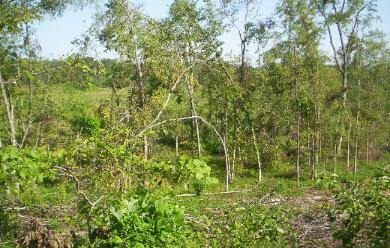 A small patch of woods had been left in an area that had been logged over the summer. their opinions at this time. I would like to hear your conclusion. Thanks Mr. B for this interesting photo. scan he did of that photo. He did not give an exact date of the photo, only 'a while back'. photo , he got smiles, laughs and had been accused of concocting the photo. been better, but all of life is not perfect. The light area in the photo could be from the camera flash. road and both said it was a beautiful creature, although they knew it was a dangerous animal. He also added he remembered the tail as being darker on the tip end than the rest of the tail. This and the sighting above could very easily be the same cat. Aug.1, 2015, It was around 6 pm as a couple drove north on Clay Co. Rd, 79.
seemed to come from outside her living room. At some point she noticed a shadow, a very large shadow pass her living room window. known position in the county, and as you all know, members and witness Identities are kept strictly confidential here at ABS. roadway. It never paid any attention to the car, that almost hit it! one would believe them and there could be complications to both ladies jobs if such a story became known publicly. a fellow member of Alabama Bigfoot Society. shape from one moment to another. I am not sure what that phenomena would be called. Maybe i need to move to this area! a very well used crossing for them. the video. Click this link to watch. Trees- returning to the area. showing a large Bigfoot sitting on the ground looking directly at them! ABS Investigator is currently on the way to the way to where this encounter occurred His report will be on soon. night along with whooping. They have found numerous signs such as broken and bent trees. They are now finding structures such as tee -pees. The sounds have been going on for some time and are becoming more often. reference. Track measures 15 inches long. .A woman driving along Alabama Highway 22 spots a Brown Bigfoot attempting to hide behind a tree near Germany Ferry Road. the road. She later decided to make photos of the area and fond a set of old car keys and other trinkets... Did the Bigfoot drop them? 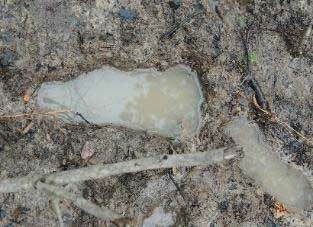 More Bigfoot Tracks Found In Tallapoosa County..Bigfoot Leaves Gift In Them? cap lost by the film crew in a track? sighting we have received in the past year in Alabama, one in Tallapoosa County, one in Montgomery County, amd this recent one. Were These Keys Dropped By A Bigfoot?